Merritt Thomas Ranew, an Albany native who became a Major League baseball player and successful local horse trainer and businessman, died Tuesday, Oct. 18 at Langdale Hospice House in Valdosta. He was 73. Kimbrell-Stern Funeral Directors is handling the arrangements. Ranew was born on Tuesday, May 10, 1938. In 1957, at the age of 19 young Ranew was discovered by baseball scout and Albany legend Paul Eames. He was signed with the Milwaukee Braves as an amateur free agent. He played for many farm teams and even played in Venezuela in the off season. 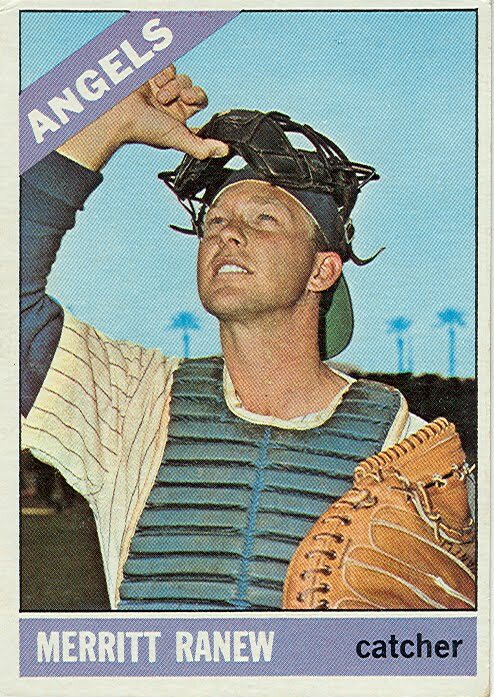 He was the 17th pick in the 1961 expansion draft in October 1961; he was only 23 years old when he broke into the big leagues on April 13, 1962, with the Houston Colt .45s. ...Ranew was also a respected horse trainer, training champion award-winning horses at his stable on Old Leesburg Road. He also trained horses in Texas as well as in Florida. One horse Ranew trained locally, was crowned World Champion Appaloosa. He not only trained the winning horse, he rode it in the championship. Ranew was also co-owner, along with Gene Connell, of the Jolly Fox night club in Albany. The Jolly Fox hosted many singers and bands, as well as other celebrities in the 1970s, including “Tiny Tim” of “Tip Toe Through The Tulips” fame. Ranew picked Tiny Tim up at the Albany airport and escorted him all over Albany. And, according to Fred Talbot, he had hair like a sissy. Poor soul made temporary household names out of Ricardo Joseph and Santiago Rosario. Two for two, Merritt Ranew, good for you.